This is about having the courage in life to be authentic and create sustainability. What does it mean to have courage? To be truly courageous? How can I step out of my comfort zone and make a difference in my life? Can I make a difference in the lives of others? I want to take the next step. And the next one after that. Are you ready to really break free and do something with your life? I am! How do we start? Allow me to introduce you to some inspiring people who have shown how a little courage can transform not only their own life, but by sharing their stories and experiences touches the lives of countless others along the way. At some point while reading this – click on this link – and consider helping to ensure that these stories get told. In my heart of hearts I am fearless. I am an adventuress. I love to experience new things. In my mind I believe I can do it. I can do anything I set my sights on. I am bold. I am free. Reality sets in. I have to buy groceries. I should do some laundry. I am getting behind on my bills. I need to exercise. I digress. We tend to slip into old habits and just do what we can to finish the week. Who has time to make a difference? Madonna. She can do it. She has time. She has resources. Not me. 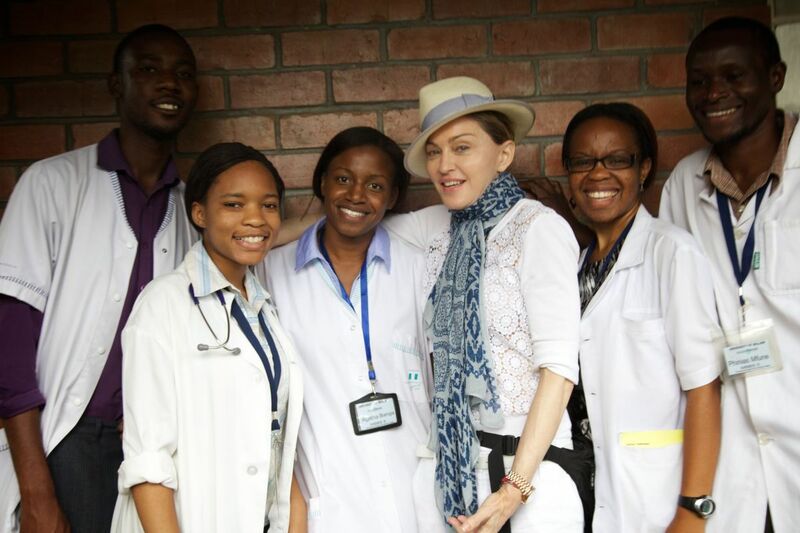 Madonna’s Ray of Light Foundation supports organizations around the world working to promote peace, equal rights and education for all. “Help Humaira build her school! Education is not a luxury ! It’s a basic human right” -Madonna said at the Sound of Change concert in London on Saturday, June 1, 2013. I may never have the intrepid boldness to take a stand, drop everything, and leave the country to help others – but I can support those who do. Meet Jody Temple White. Meet her and her courageous family. If you have ever wondered what an ordinary person can do to make a change in the world, here is your answer. There is a documentary in the works about this bold family and their courageous travel adventure around the globe. You can help get it seen and help to inspire others. The Courage Vibe is a movement. It is inspiration. It is about transformation. It is about having the courage in life to be authentic and create sustainability; for ourselves, for others, for the World. How can I find the meaning in my life? What is the difference between being a tourist and being a traveler? Ask Jody, John, Riley and Allison White. They realized and lived the difference on their trip around the world when they were enriched as a family while helping others as they went. I often say I am an adventuress. I am an explorer. For now on, I consider myself a traveler. I am on a journey. It is the journey of my life. I am not just visiting. I am taking an active role. I am a traveler not a tourist. For the White family being travelers means living simply in each place they visit, immersing themselves in the culture, and meeting and helping people and animals along the way. 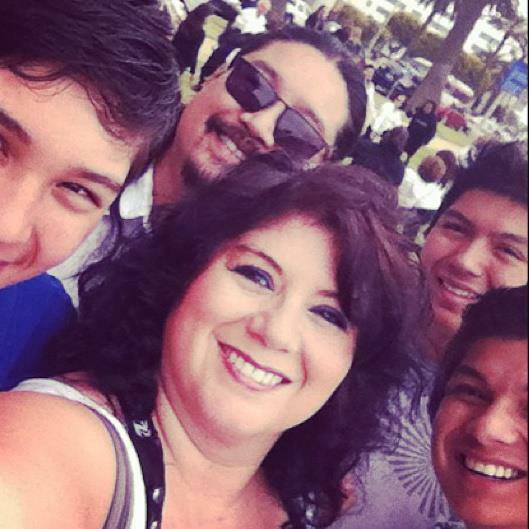 This experience has brought them joy and enriched their relationships with each other and is shaping their lives in a way unimaginable for most families. How can we find joy in helping others? Who can we help? Keep it simple. Think about what is truly important to you. What gets your heart beating? Living simply means getting along with fewer complications. What are the top things you could not live without? Doesn’t everyone deserve to have these things? What can you do to help make that possible for others who are less fortunate than you? Think about what you love doing and who you love being with. What better way to express your love than to share that joy with others? How lovely it would be to help someone else to experience that joy. What a beautiful gift it would be to care about someone else’s basic needs. Are you skilled at something that you might take for granted that someone else might benefit from learning? What do you want to learn about? Sharing knowledge and learning from our experiences is an invaluable step in life’s journey. Life is daunting at times. If you make a list of all the challenges you are facing it would be as long as the list of things you would do to change the world. Life is challenging. Getting along in this world is hard. It’s scary. That’s why it takes courage to tackle these issues. Facing our fears, dealing with the obstacles, and being willing to make a change despite the challenges is why it takes bravery and fortitude to embark on a journey like this. Giving of yourself in service to others is a sacrifice. Why should you do it? Going outside your comfort zone is not easy to do! It takes commitment. Breaking free and making a difference in your life involves spirit. If you strive for a better life, a better human condition, if you hope to make the world a better place for future generations, or if you just aren’t satisfied with the way things are then it is time for you to make a change. You might find that in helping others, you can help yourself. The very act of making a difference in the life of another person may be the very thing you need to make a positive impact in your own life. Doing this takes faith. Faith in yourself and your abilities. It takes faith in humanity and in the human spirit. I am not just talking about big round the world trips and building schools and digging wells kind of commitments. Any change you are willing to take to make a positive difference in your life takes faith. Faith is the belief of the uncertain. It’s what you know in your heart. Making a leap of faith to break your habits and face your fears takes hope. Hope for a better life. Hope for a positive outcome. Having a real desire in your heart to do something new and to make a difference is having hope. It’s the inspiration, the drive, the catalyst that will see you through. Never give up hope. Any little thing you do is important. Everything you do is valuable. Everything you do makes a difference. Embracing the courage to make a change in your life takes love. If you start with love, the possibilities are endless. It starts with loving yourself. Believe in yourself. You can do this! Love grows and continues to grow forever. If you have love in your heart you can do anything. Transforming your life takes perseverance. It may not happen overnight. If you were to take a trip around the world, putting your life on hold for a year, giving up all of life’s conveniences and comforts, it would take a tremendous amount of planning, time, money, and support. Any change takes time to happen. My Family is Always Ready for an Adventure of the Heart! Thank you Dona Donato, and the owners and founders of Giggling Gorilla Productions, Inc. GGP is a company dedicated to creating media and live events that support enhanced living, wildlife conservation, sustainability and a holistic way of life. It is because of their belief in the courage of families who can make a difference that this blog post and others like it are being written. With their help, millions of people will be inspired and hopefully donate to the Living the Courage Vibe documentary project. Be an explorer of life. Be a traveler on your journey. Don’t just observe the world around you like a tourist. Get active and engage yourself. Immerse yourself along the way. Life is an adventure! What would you hope to learn there? Previous postAre you following me? What a great article, so inspiring!!! Go forth and explore! Beautiful post, as always, my friend. So, on your journey of traveling, where are you headed next? For myself, Santa Barbara has been on my mind for awhile, and it’s happening this summer. Think of it. Plan it. Then Make it Happen. Do it.